This is a fun summer treat after BBQing a meal, a different take on traditional smores. Preheat BBQ while you prepare the bananas. Get 4 pieces of foil squares. 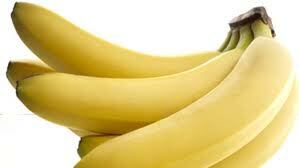 Slice each banana peel with the curved side up, don’t cut through the banana. Place each banana on a foil square and make an envelope with the foil leaving the top part open. Open up the banana peel carefully with your fingers, making room for all the toppings. Distribute the chocolate and peanut butter chips, strawberries, graham crackers and marshmallows evenly on each banana. Place bananas on the preheated BBQ, cook for about 10-15 minutes until chocolate is melted. Preheat oven to 350. Line a baking pan with parchment paper. Cut peaches in half and remove the pit. Then cut a very small slice off the bottom of each half to ensure they sit flat on the baking pan. Dip each peach halve into the melted butter and place in the baking pan. In a small bowl, mix cinnamon and 7 tsp of sugar. 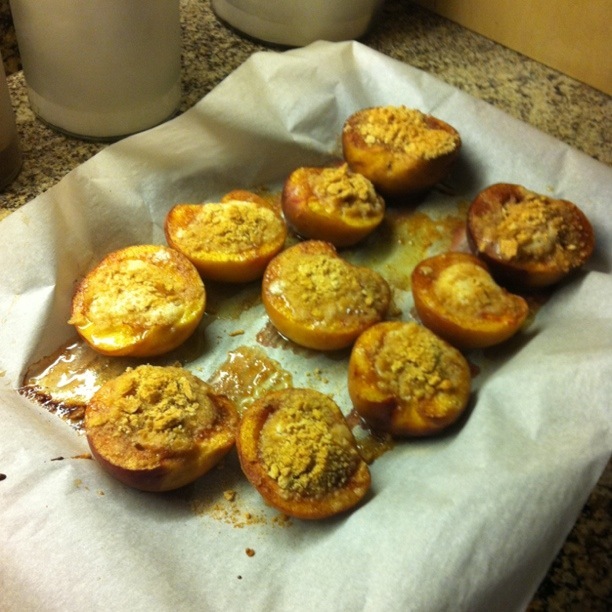 Sprinkle cinnamon sugar over peaches. In a bowl, use a mixer to beat cream cheese. Then add sugar, egg yolk, vanilla & nutmeg. Mix well. Spoon an even amount of cream cheese mixture into each peach halve. Place the whole graham crackers in a sandwich bag, seal and smash crackers. Sprinkle peaches with graham crackers. Bake for 35 minutes, uncovered. Let cool for 5 minutes before serving. Make the brownies per the instructions on the box, and mix in 1/2 c. of peanut butter chips. Cook brownies according to package instructions, then allow to cool when done. Once the brownies have cooled, spread frosting evenly on top. 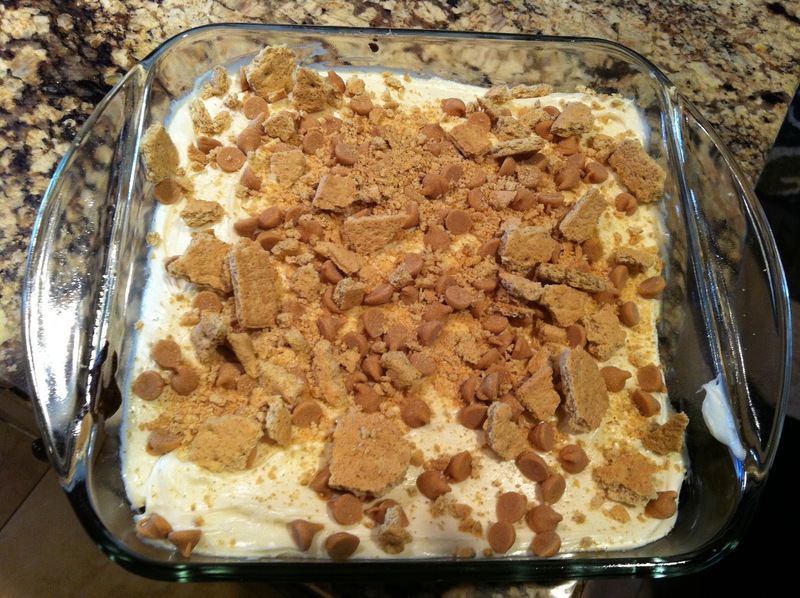 Then top with crushed graham crackers and remaining 1/4 c. of peanut butter chips.